Look, I know we say this a lot, but it really has been a manic week on Wareable. Most of the team have been over in Berlin covering Europe's biggest tech show, IFA, and we've had an endless stream of announcements and new kit to play with. We also had Fitbit's new Ionic smartwatch breaking cover - read more about that story here. Amidst all of this, there's been plenty going on in virtual and augmented reality. Our highlight was playing with Lenovo's Mirage ARStar Wars experience, which is the closest you'll come to feeling like a real Jedi. We also got to see Lenovo's Windows Mixed Reality headset, the Explorer - that will be available later this year. Oh, and we even found some time to explore LA's thriving VR and AR scene, talking to some of the biggest and most interesting names. Don't say we never treat you. But what's that? You think that's all? That's just half of it - here's what else has been going on over the past seven days. 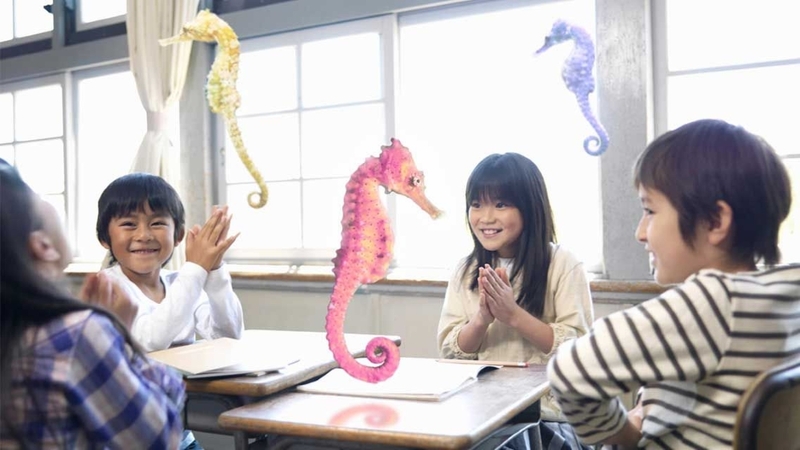 Magic Leap, is that you? I wish I could peer 10 years into the future: all of our clothes will be connected, Alexa will come as an implantable chip, and we'll still be waiting on an announcement from Florida startup Magic Leap, which will have a valuation so high it won't even be a recognizable number, just a scream into the void. Hopefully though, it won't be that long, and as a morsel of encouragement this week we saw a patent filing that might reveal what Leap's glasses could look like. Business Insider reported on the patent, which was filed in 2015, and shows a pair of lenses sandwiched between some chunky sensors. Leap said that this isn't reflective of the product, but BI's inside sources claim otherwise, and say that the glasses are actually chunkier in reality. While we could pick at the design all day, it's the quality of the augmented reality we're more interested in. We'll suffer a pair of dorky hipster glasses if they can truly blow our minds. After Oculus and HTC both announced significant price chops, it didn't feel as though Sony needed to follow suit, but it has anyway. Starting 1 September Sony will offer a bundle with the VR headset, PS Camera, Move controllers, and a copy of PlayStation VR Worlds all for $449 - down from $499. It's also now selling a bundle that includes just the headset and camera for $399. The barrier to VR is getting lower by the day. On the topic of VR sales, Oculus has just announced its Summer of Rift sale will end at 11:59pm PT on 4 September, after which the $399 bundle will go back up to $499. However, to go out with a bang, it's also just started a flash sale on games that will run until the same date. Games including Star Trek: Bridge Crew, which we think is a bit of a steal at $24.99. Yeah, that's right. 2014's pant-soaking survival horror game can now be played on the HTC Vive and Oculus Rift thanks to a new mod. PS VR could do with some fresh new games, and so along comes Sparc from CCP Games (EVE) to liven things. It's Tron meets tennis, involving a lot of hitting balls at each other across an arena and blocking with a laser shield. At the very least it should make for a fun workout.